Texas Matters: Voter Suppression In Texas? Hays County officials had only scheduled three days early voting at Texas State University, despite wait times as long as three hours. 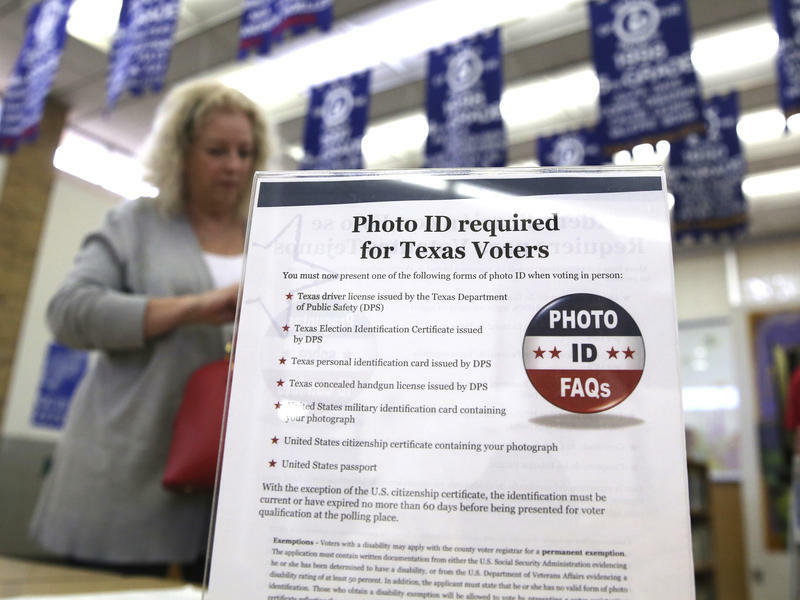 The Texas Civil Rights Project alleges voter suppression. Democratic Congressman Lloyd Doggett joins us to discuss the issue. Then, Leah Aden of the NAACP Legal Defense Fund joins us to talk about a 1979 case that went to the U.S. Supreme Court claiming students were not residents and should not be allowed to vote (8:30). And finally, producer Tim Smith discusses her documentary, "Rigged: The Voter Suppression Playbook." Editor's Note: Since the first broadcast of "Texas Matters" Friday afternoon, Hays County officials held an emergency county commissioners meeting. They voted unanimously to add polling locations for early voting and Election Day at Texas State University. The Texas Civil Rights Project called this action a victory for voting rights. There were long lines and excited college students during the first three days of early voting at Texas State University in San Marco. The wait to vote reportedly took as long as three hours and students were skipping class to make sure their ballot got counted. But, on day four of early voting, the polling machines were gone from the university. Hays County officials had scheduled only three days of early voting there, despite the demand from students. Hays County officials said early voting days at the campus were limited due to limited resources, and the county is providing free shuttles for students to off-campus voting locations. The Texas Civil Rights Project alleges that the county’s decision to limit early voting on campus is a violation of the U.S. Constitution because it targets a class of voter: students. University students have long been fighting for their voting rights in Texas, particularly at Prairie View A&M University in Waller County. In 1979, university students took their case to the U.S. Supreme Court when county officials claimed the students were not residents and should not be allowed to vote. While the high court ruled in favor of the students, that did not end their struggle. This week, the NAACP Legal Defense and Educational Fund filed a lawsuit on behalf of five students at the historically black college who said there were no early voting sites in Prairie View during the first week of early voting. Aden is the NAACP Legal Defense Fund’s deputy director of litigation. Cutting back on early voting opportunities is just one way those in power can dampen voter turnout from groups that threaten their hold on government. While gone are the days of the poll tax, Tim Smith says eliminationism at the polls is still with us — it has only gotten more nuanced. Smith is the executive producer of the new documentary "Rigged: The Voter Suppression Playbook." It will be available for free viewing on Vimeo.com beginning on Monday. Conflict over Texas’ voter ID law was in the courts for most of last year, and 2018 will probably be no different. The state’s restrictive voter ID law, passed in 2011, has been found by courts to have been crafted with discriminatory intent. Now it’s up to a three-judge panel to decide, among other things, whether Texas’ new law, designed to fix problems with the old law, goes far enough. Early voting for Texas’s March 6 primary starts Tuesday. The midterm elections are often the overlooked middle child of any election cycle. But while they don’t get as much press as races during Presidential election years, the stakes are high. Thirty six states, including Texas, are voting for governor in 2018. Midterms are especially significant for the U.S. and Texas House of Representatives, since their terms are just two years long. But let’s not get ahead of ourselves. The winners won’t be decided until November. 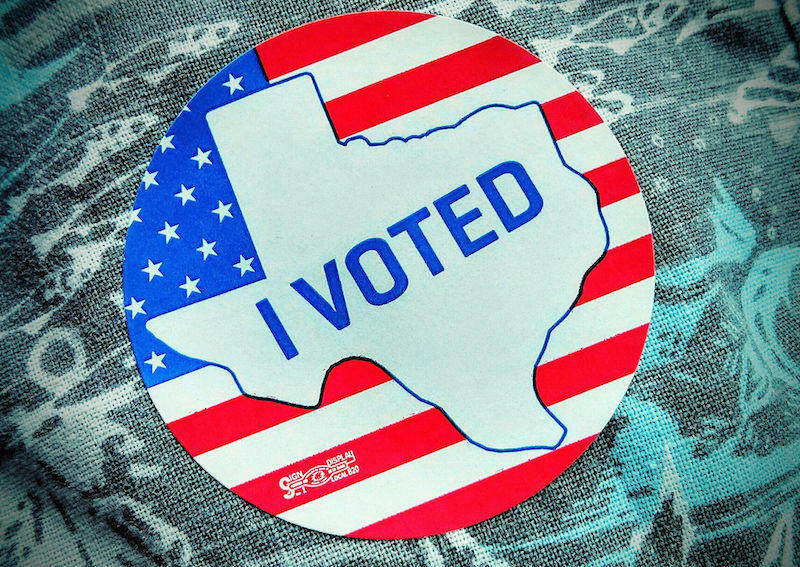 Tuesday, is the first day of early voting for Texas’ midterm primary election.